© 2005-2014 SpamDrain AB – All rights reserved. 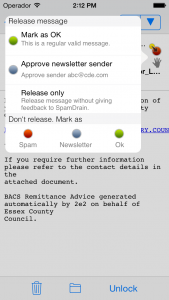 Today we are pleased to announce that we are lowering the price for Spamdrain. The base annual price for regular Spamdrain has been lowered by almost 30% and for Spamdrain+ by almost 15% depending on your currency. We’re doing this to make Spamdrain more affordable for more people. Go to our web site for more details. To enjoy the new prices, simply go to the order form and place your order as usual. The new prices will be applied to all customers – new and current – automatically when placing a new order. If you recently renewed your subscription with the higher price, please contact us at support@spamdrain.com and we’ll work something out. Today we have the pleasure to announce that we’ve released a public beta of the new webapp we’ve been working on for the past months. So far you will be able to access your filtered messages – search, report, release and view them. The next weeks we’ll make sure to unlock rest of the functionality such as settings, account info and our brand new whitelist blacklist management just as we have in the mobile apps. First time you access the new interface you’ll be presented a tutorial that you don’t want to miss so make sure you watch the entire show. Report and release by clicking the classification icon to the left. And don’t worry if you feel lost. For some time we will provide a link to easily get back to the old webapp, but it will phased out later this year. 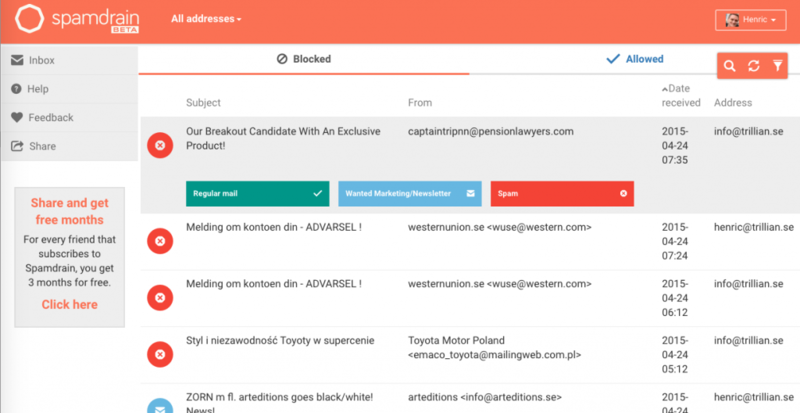 SpamDrain is a anti-spam cloud service that uses artificial intelligence to filter out spam, newsletters, phishing and virus emails. We bring peace of mind to your inbox. Today we have the pleasure to announce that both our iOS and Android apps now are available in App Store and Google Play Store. These new apps brings a new look including a new logo and colors. 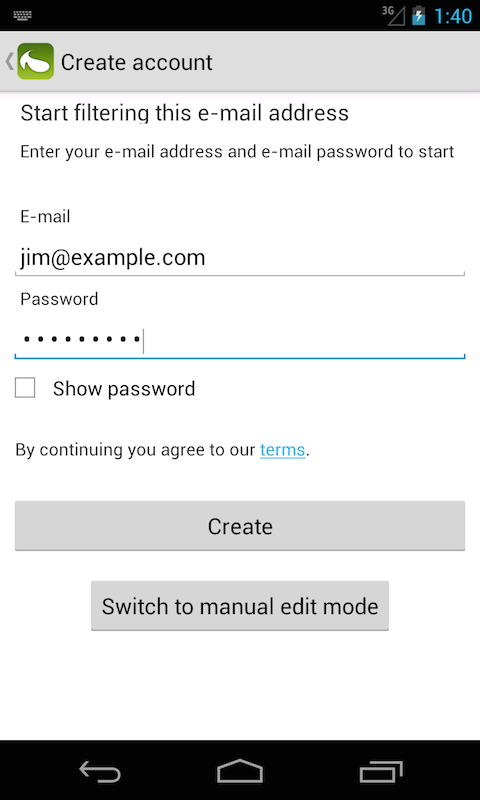 We have also made it easier to sign up, add new addresses and improved the overall navigation in the app. Another thing we’ve changed is the icons indicating the type of a message as you’ll see in the screenshots below. A big THANK YOU to all the beta testers who helped us with all the valuable feedback. We’re now working on finalizing the webapp which will be launched in an open beta in a couple of weeks. 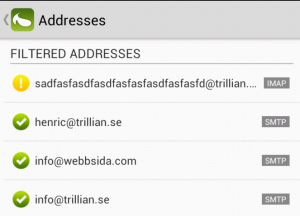 Access all your addresses easily and add new ones. 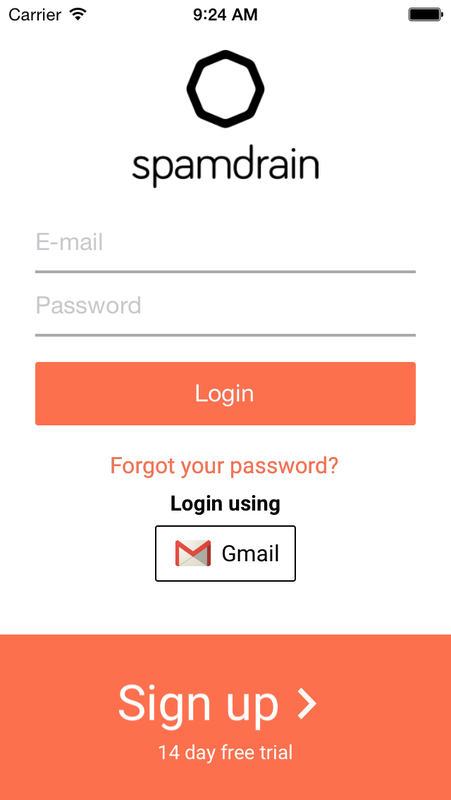 We are slowly rolling out our new design which now is available at spamdrain.com. We are doing the changes gradually so for a couple of weeks you may see a mix of old design and new one. So please bare with us. When you sign in you will still see the old web app but we are working on publishing a beta version of that in a week or two. previous post for info about how to join. Today we have the pleasure to announce we have released the second beta of both our iOS and Android apps. This second beta adds better support for iPad and tablets. 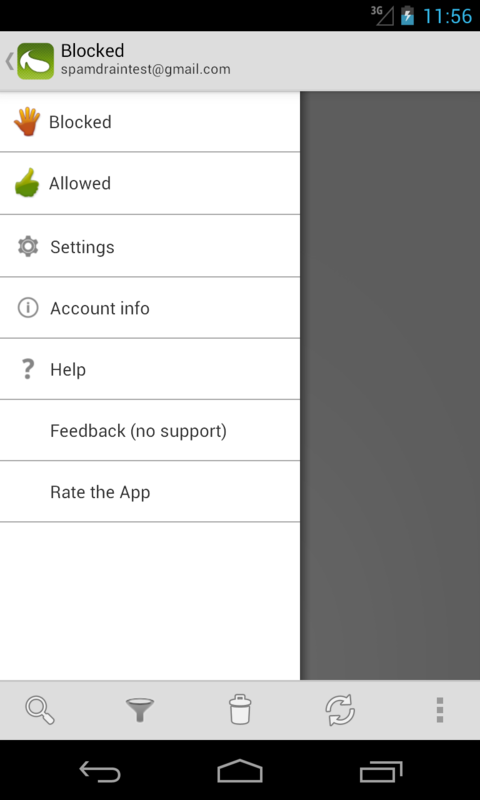 We have also fixed some issues and added a tutorial which is displayed first time you start the app. If you haven’t joined as beta tester yet, please read below for info of how to apply. If you are testing, please let us know what you think – we want to know what’s good and what we can do better. 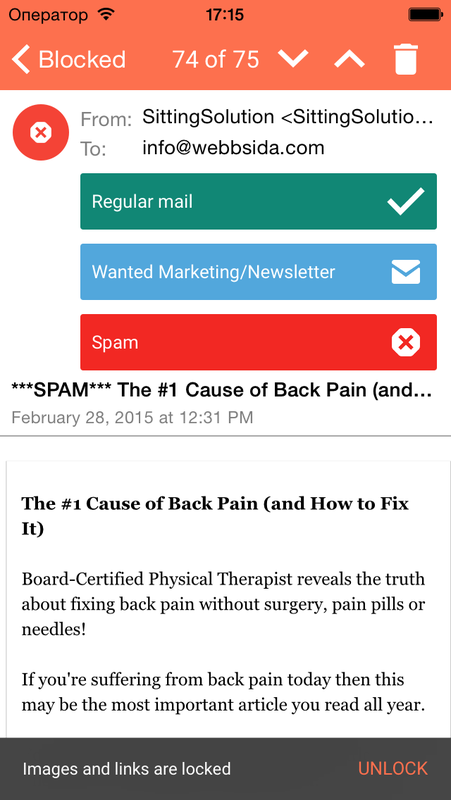 Send your feedback to feedback@spamdrain.net. We are using Apple’s Testflight that’s now integrated in their normal app publishing tools. 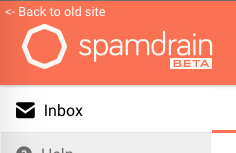 So all you need to do is to send us an email to beta@spamdrain.net and we will send you an invite. 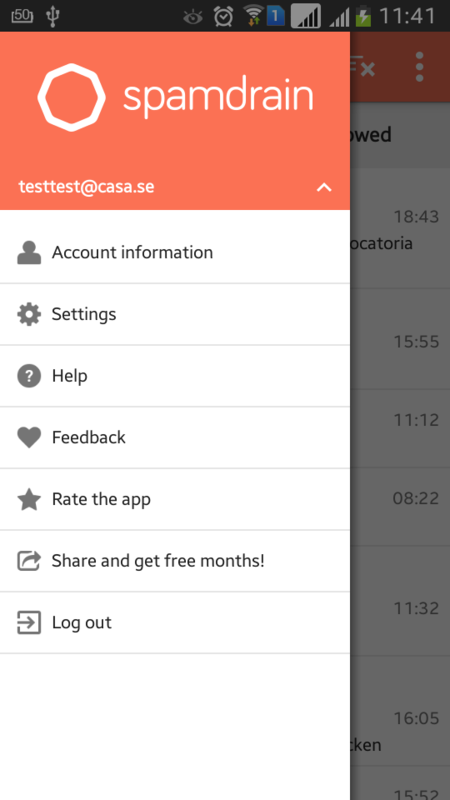 While waiting for the invite, please install the Testflight app from App Store. Please join our beta tester Google+ group if you haven’t already to get your copy of the new beta once we publish it. When you have joined the group you’ll find instructions of how you “join as a tester”. After that you will automatically receive the beta as an ordinary update. Please be patient :-). We are also working on a complete rewrite of our web interface, and will soon publish a beta version of that as well. We are about to release beta versions for our Android and iOS apps. So if you’re interested in getting your hands on the new fresh look and have the opportunity to give us feedback before the final release, please sign up as beta tester. We are using Apple’s Testflight that’s now integrated in their normal app publishing tools. 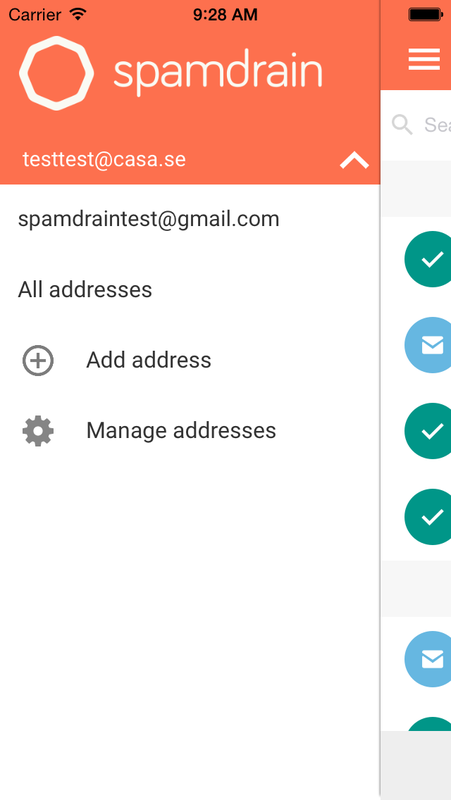 So all you need to do is to send us an email to beta@spamdrain.net and we will send you an invite. 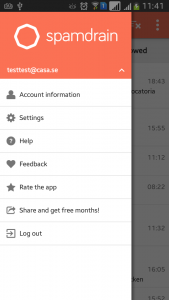 While waiting for the invite, please install the Testflight app from App Store. As we reported earlier this week we had some issues in our latest update. The review went really fast this time so the new version 2.0.12 is already approved for App Store. It may tak a day or two before available everywhere so please be patient. Please make sure to update to 2.0.12 as it contains critical bug fixes! Update: New version 2.0.12 is now approved and soon available in App Store. Please make sure to update. Unfortunately we have two issues in our latest iOS app, version 2.0.11. 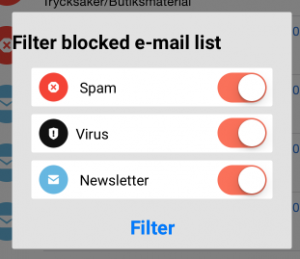 The first issue is in the Blocked and Allowed lists, when reporting or releasing a message. 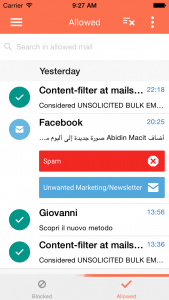 The top message will always be the message to be reported or released regardless of which message you tap – if you do this from the list. If you do this from the message view it works as expected. We have submitted a new version to App Store, but nowadays it takes about a week before Apple reviews apps so the update will take some time to reach you. Do not report/release from the lists directly unless you want to report/release the first message. The second issue is that message lists won’t show any messages if you have your clock set to 12 hours instead of 24 hours. The workaround for this is to go to your Settings app, General->Date & Time and switch 24 hour on. 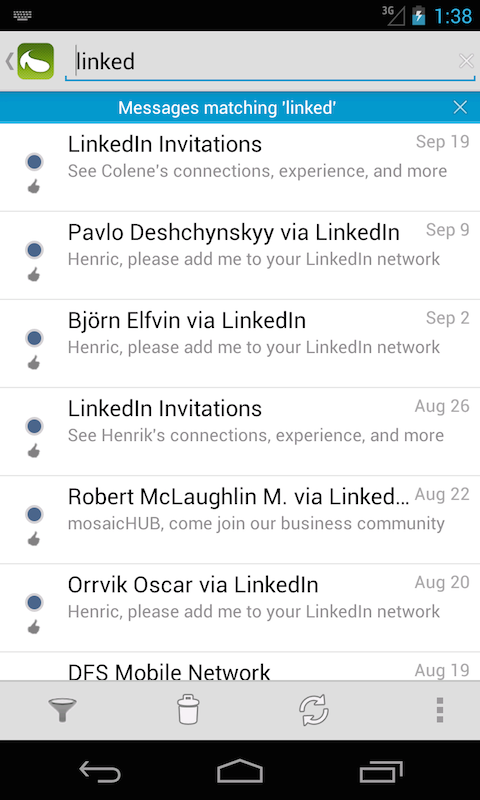 Then lists will show messages again. Version 2.0.12 will include a fix for this as well. We are very sorry for the inconvenience and hope the new version will be available a soon as possible. Today we published version 2.0 of the SpamDrain Android app. Big thanks to all beta testers who helped us nail down the last (known) bugs. 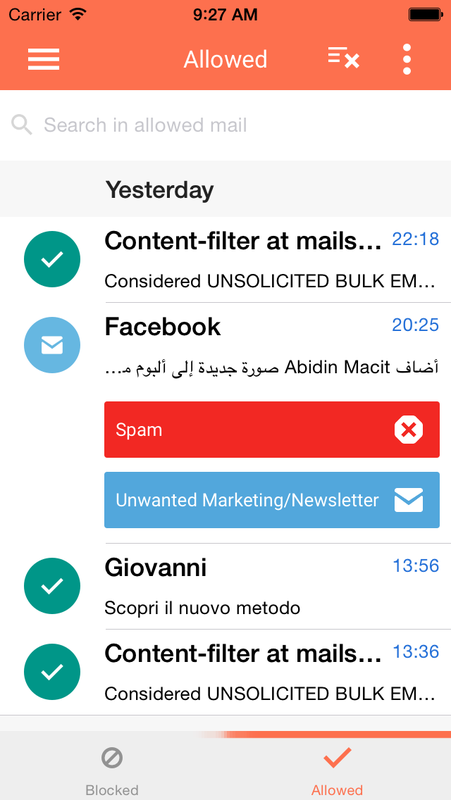 With this new version you will be able to search in the message lists. 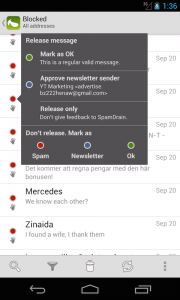 There also a new way to report and release messages directly from the message lists. 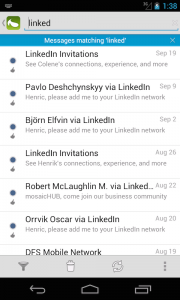 The navigation in the lists and message view should also be a lot smoother. 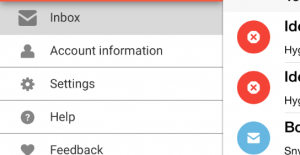 You can also manage your filtered addresses and view filtering status directly in the app. Below are some screenshots. Please give us your feedback when you have received the update. 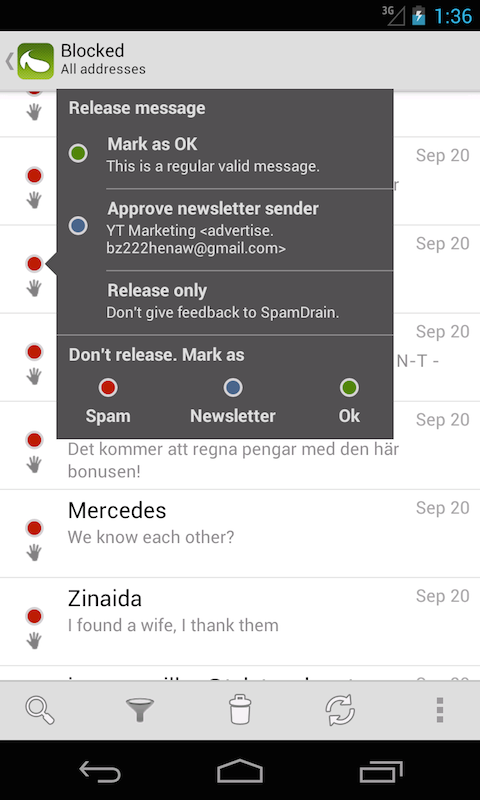 We are wrapping up the final features and adjustments for the release of SpamDrain 2.0 for Android and today we have the pleasure to announce that the third beta of SpamDrain 2.0 is available through Google Play store for all beta testers. 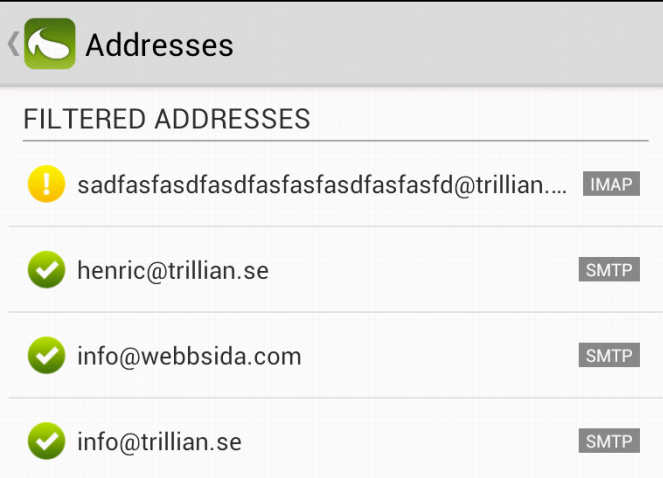 Status of filtered addresses can be seen and settings can be updated. 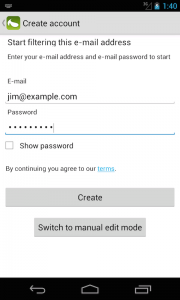 We have added address management and the possibility to update some of your user settings and account settings. We have also polished the UI a little bit. 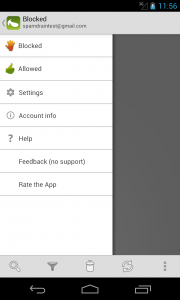 Now we need your help to see if the app works great on all your different devices out there. We have only tested the app on a few of them, so please send any feedback to beta@spamdrain.net or just post in the Google+ beta testers group. We are now very close the final 2.0 release so we are looking for more beta testers to find the final nasty bugs that might still be there. Please join our beta test Google+ group if you haven’t already to get your copy of the beta.